Just returned from a trip to the Lofeten islands Norway from the UK. Just under 5,000 miles. Extremes of weather from 36.5C in Germany to torrential rain and cold in Norway. Travelled through Holland, Germany, Denmark and Sweden. Great trip with my riding mate Ben. 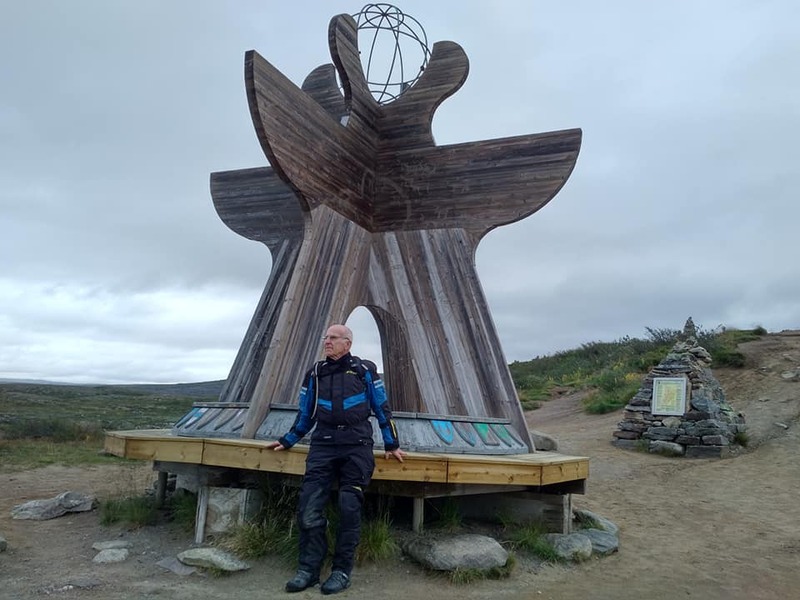 Reaching the Arctic Circle was great at 75 years young!. 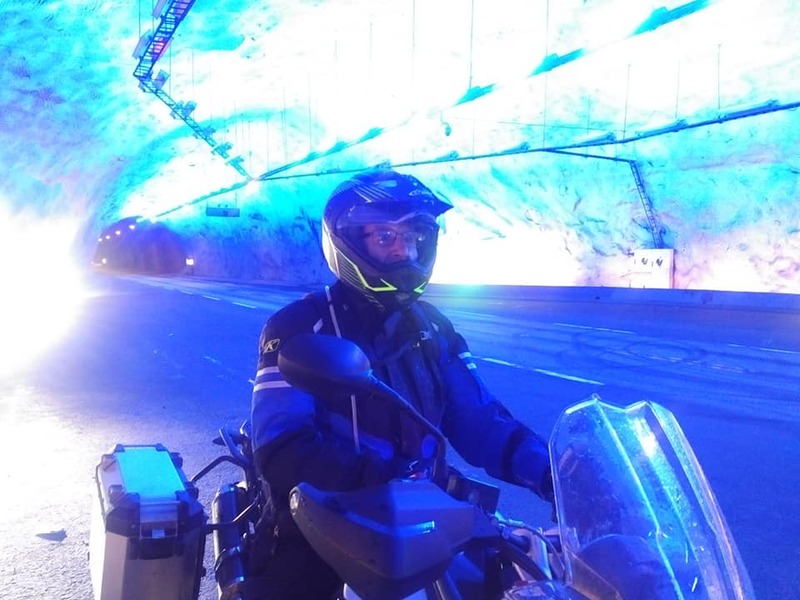 Picture taken by Ben in the world's longest tunnel being 24.5 kilometers long. This is the natural colour designed to stop drivers falling to sleep. As Ben says on his Facebook Living the dream is far better than getting old. Good on ya! I hope im still riding at your age! Epic trip - sounds great. Really great trip, I need to follow in your footsteps! Well done guys. Well done sir! Going to the Arctic Circle from Kansas is about 4500 miles (and 4500 miles home). In the years I was interested in the trip, finances and jobs were a conflict. Now retired, it is past my riding capabilities. However, I am planning a ride to British Columbia as a great adventure. So congratulations on your adventure. Good on yer. Apart from speed limits and the price of beer, Norway is a wonderful place to ride. Nice one - congratulations. 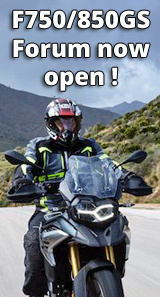 I did a very similar trip last August up to Nordkapp on my little Tiger XRT. Norway is a wonderful country for riding a bike across. I'm in my early 50's and I just hope I am still doing what you are doing when I get to 75. Keep those wheels turning! Interesting thing is they only have forward facing speed cameras so on a bike not a problem. Just looked at my trip stats and top speed 105 MPH and average 47MPH. Must be slowing down a bit nowadays! 13 days Left on the Sunday afternoon and arrived back very late on the second Friday. Just planning our next trip which is back to Morocco.